The hatchback has lost some ground in recent years to the new darling of the suburban driveway, the crossover. But the practicality of five seats and refinement on the motorway - in a footprint small enough for zipping through urban traffic - still make it a hugely popular class. But which of the UK's most popular hatchbacks are the most reliable when it comes to extended warranty claims? *This information is based on data from 50,000 Warranty Direct policies for cars over three years of age and outside their manufacturer warranty period. 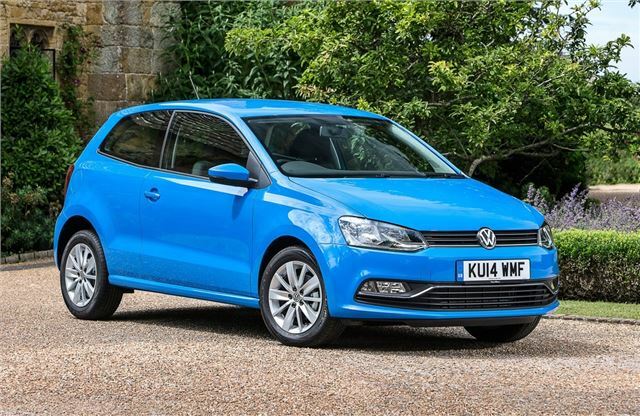 The Volkswagen Polo is the UK’s most reliable hatchback. On average, cars over three years old spend just 1.46 hours off the road for repairs, at an annual cost of £184. Although, 43 per cent of all warranty claims made through Warranty Direct were due to transmission issues, its lowly repair price would suggest that the problems were relatively minor. b) Don't take into account all the remedial repair work done by many of the manufacturers making it into this list when the cars are in their 3 year manufacturer's warranty. Most oriental makes (aside from the Renualt-owned Nissan) rarely have problems of note in their cars during that period (which often is longer than these others, so their cars are older when they take out a WD warranty anyway), and often only after that when the owner (likely not the first) scrimps on servicing costs at a back alley garage or suchlike. The other makes mentioned will have newer components that won't wear out for another 1-3 years. None of this is factored into the results, in my opinion. The number of problems reported on this website for many of these cars, especially German makes, make a mockery of these 'results'. A friend of mine had 6 repairs on their VAG car during its manufacturers warranty period requiring several £000s of work and many days off the road. My Mazda had a 5 minute reset to unstick a rear window that wouldn't go down, done at the service for free. Not an uncommon situation. My car is now requiring some repairs, but that is just wear and tear items never previously replaced in its 12 year life. I know owners of three of the cars in the list, and they have been disasters on wheels. We have had seven Mazda's and Honda's in our family over the last decade and all have been bulletproof reliable. This survey does fly in the face of the evidence so carefully collected over the years. Is this an HJ article or more of a promotional/advertising feature? I have run Toyotas since 1977 - almost as soon as they were imported into the UK in any quantity. I have also had two Nissans for short periods - both were quite reliable -and one Vauxhall - which was a bit of a disaster and I got rid of it after only four months. The Toyotas have been extremely reliable - I keep each for several years, after buying two year to four year old cars. Only wearing parts requiring attention - a couple of batteries, tyres and front discs and pads - all normal items that wear. the Toyota dealer that I have dealt with over all these years has been "family firm" , now closed due to retirement of the owners, unfortunately and which treated me (and other customers, from what I have heard), like royalty!. This dealership has been replaced by a branch of a semi-national Toyota dealer chain, and I await to see whether the same personal attention will be forthcoming from them. To me, Toyotas tick all the boxes and so why change? If it aint broke, don't fix it!